European equity volumes continued to rise in October following the summer slowdown as volatility hit markets, with volumes up by 15 percent month over month. The most notable trend was the strength of block trades, which hit an all-time high in October with average daily notional of €1.6 billion. Volumes also continued to rise on SIs run by electronic liquidity providers and on dark MTFs. Analyst Tim Cave previews TABB’s exclusive European Equities LiquidityMatrix, which breaks down market share for each major equity execution channel. It was a proper summer break this year for Europe’s equity markets. But the shackles really came off in October, helped by increased volatility, with daily notional increasing from €70.5 billion to €80.7 billion month over month. The increase in volume was coupled with a continued “right-sizing” of equity liquidity following the lifting in September of the first set of MiFID II dark pool caps. Volumes on dark MTFs continued to climb, with average daily notional increasing to €4.3 billion from €3.1 billion in September 2018. The venues accounted for 8 percent of total order book volume, compared with 6.8 percent in the previous month. The majority of the increase came from below-LIS trades, which accounted for 63 percent of dark volumes. That said, it was a record month for blocks in value-traded terms (see Exhibit 1, below), with average daily notional in trades exceeding the Large-In-Scale (LIS) thresholds increasing to €1.6 billion from €1.24 billion in September. LIS trades accounted for 37 percent of all dark MTF trading, compared with 40 percent a month earlier. Newcomer Cboe LIS posted record average daily volumes in October (€348 million) as it continued to onboard multiple new members, and it has now been a larger LIS market than its longer-established rival the Turquoise Plato Block Discovery Service for three months in a row. Block incumbents Liquidnet and ITG Posit tied for the top spot this month, with daily LIS volume of €404 million. Volumes on periodic auctions, seen as a dark pool alternative, fell from 2.5 percent to 2.2 percent of total order book trading as dark MTF volumes continued to rise. Total average daily notional traded through the platforms was €1.18 billion in October 2018, compared to €1.15 billion in September 2018. Cboe Europe remains by far the largest periodic auction, with daily notional of €996.4 million, followed by Sigma-X (€76.2 million), Turquoise (€42.4 million), Nasdaq (€30.6 million), ITG Posit (€27.4 million), Aquis (€6.7 million) and UBS MTF (€1.9 million). Other notable developments came with SI volumes – the trade category for firms that complete client trades off-exchange using their own capital. 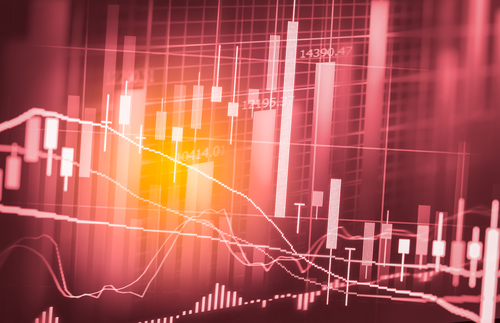 TABB Group has updated its “addressable” SI figure, in line with changes made by data provider big xyt, to exclude LIS and after-hours trades to more accurately reflect SI liquidity that can be interacted against. This has resulted in a significant fall in addressable SI activity compared to previous estimates. We do intend to separately report SI trades above-LIS in later reports, as we believe this represents the bulk of bank SI activity. Using this new methodology, addressable SI activity represented daily notional of €3.3 billion in October, compared with €3.1 billion in September. It is a figure that has steadily risen since January and much of the growth may have come from SIs run by electronic liquidity providers (ELPs). These SIs appear to account for around one-third of addressable SI activity below the LIS thresholds (see Exhibit 2, below). Average daily notional among the four ELP SIs which report to TABB was €1.1 billion in October, compared to €0.96 billion in September. The largest ELP SI among those reporting to TABB in October was Tower Research Capital, with an average daily notional of €334.8 million. The relatively slow growth of ELP SIs under MiFID II has surprised many practitioners. But it seems this source of liquidity will continue to grow as more brokers connect to SIs, and as more SIs go live –major market makers including XTX Markets, Jump Trading and IMC Trading are just getting their SI operations going. For more details on how MiFID II is impacting European equities flows, please contact TABB Group for information on the latest European Equities LiquidityMatrix, which provides the industry with breakdowns of market share for each major equity execution channel, including lit venues, dark MTFs, block venues, periodic auction books and systematic internalizers.